It's Hump Day and first day back to work so back to posting later in the day. This is an older image that I have never shared for some reason. 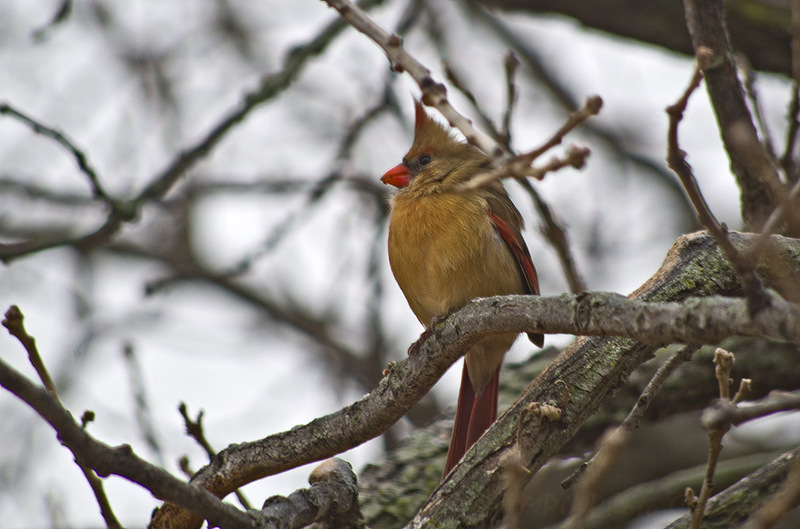 A lovely female Cardinal sitting in the Mulberry tree in the winter. She's a bit puffed up to stay warm, could have been taken lately, all the birds have been puffed up.